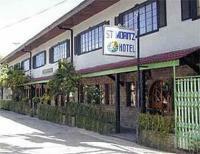 St. Moritz Hotel is located on Gorordo Ave., Cebu city, uptown area. With 20 rooms, each is approximately 35 to 40 sq meters in size. Golden Peak Hotel and Suites is a 21-story newly built hotel with 170 first class suites with panoramic views. 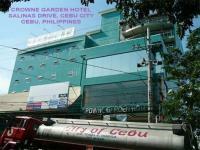 One of the best rated hotels in Banilad area in Cebu. LakbayPilipinas.com - is Philippines best and largest online hotel reservation website - we have every kind of lodging including Bed and Breakfast, backpacker hostels, cheap hotels, discount motels, discount hotels, and luxury 5-star accommodation all over the Philippines and the rest of the World! Our goal is to offer the widest hotel directory with the best hotel deals and discount rates as well as a convenient, fast and secure way to make a hotel booking.